Yakima, WA – Over the past three weeks, Borton Fruit has been providing ideas on how to incorporate apples in your Christmas meal planning, providing multiple options for appetizers, snacks, main courses and side dishes. Well, we are finally to the desserts which for some of us, is the best part! When we plan for Christmas desserts, a lot of us tend to think about the traditional Christmas cookies, pies, candy and fudge! Believe it or not, apples can be incorporated in each of these options providing your treat with additional flavor as well as some nutrition. 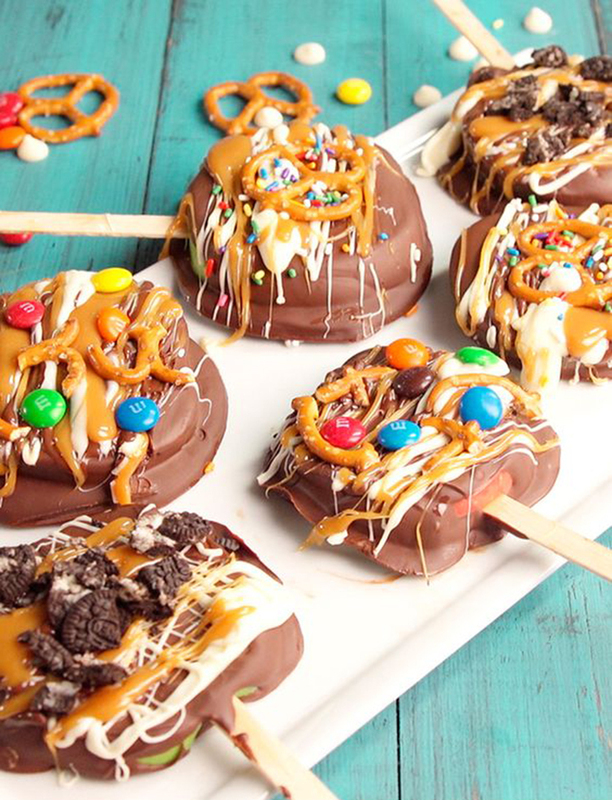 See how you can add apples to your favorite dessert below! Apple Pie tends to be a classic favorite. Here are a few ideas to include some more festive qualities. The first two apple pie recipes are fall themed, however you could change the design up and instead of doing leaves, gear your design towards Christmas with little snowmen or Santa’s, or even reindeer. The great thing is you can be creative and do whatever is close to your heart. 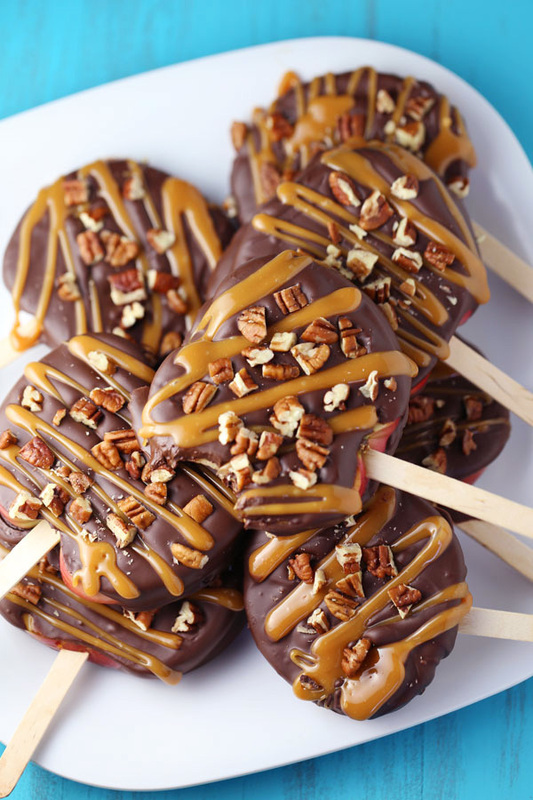 Who would have thought Apples and Fudge would go together? Be unique and the first to mix up one of these apple pie fudge recipe’s. Both take a little pre-work as one calls for dried apples which you can do the day before, and the other calls for apple pie filling that you can either buy or make yourself. For those of you who really enjoy baking and making everything from scratch, here are two recipe idea’s that entail a little more effort and time, but sure have the holiday spirit written all over them. Of course we want to provide you with some fun and easy ideas as well. Here are a few easy to make dip options that you can always just slice some fresh apples up to go with. Maybe use some green and red apples to tie in with the day. 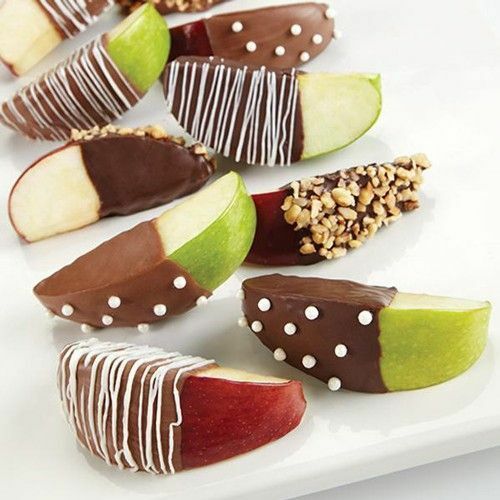 Last but not least, Christmas candy with apples. This one can be a lot of fun. 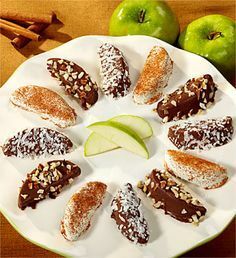 The recipe below is specifically for chocolate turtle apple slices, but do feel free to expand on this idea. 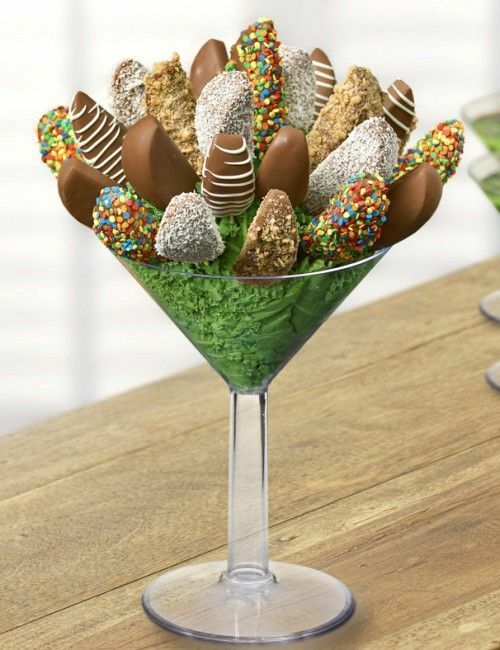 You can make up your own chocolate or caramel base for dipping the apples in and then have a lot of fun gathering all the different topping like nuts, sprinkles, M&M’s, coconut, etc. 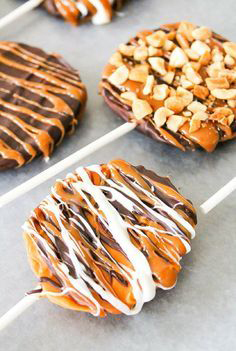 Even just grab a few of your favorite candy bars or cookies and crush them up to use for a topping. See pictures below to help with ideas. You can either cut the apple into wedges or slices, and then get some toothpicks or popsicle sticks and you have yourself a fun treat. These can be made ahead of time, or set-up to allow people to make to their liking! We hope you liked our Christmas recipe series and that you were able to find at least one or two dishes that include apples for your meal planning. From everybody here at Borton Fruit, Merry Christmas!